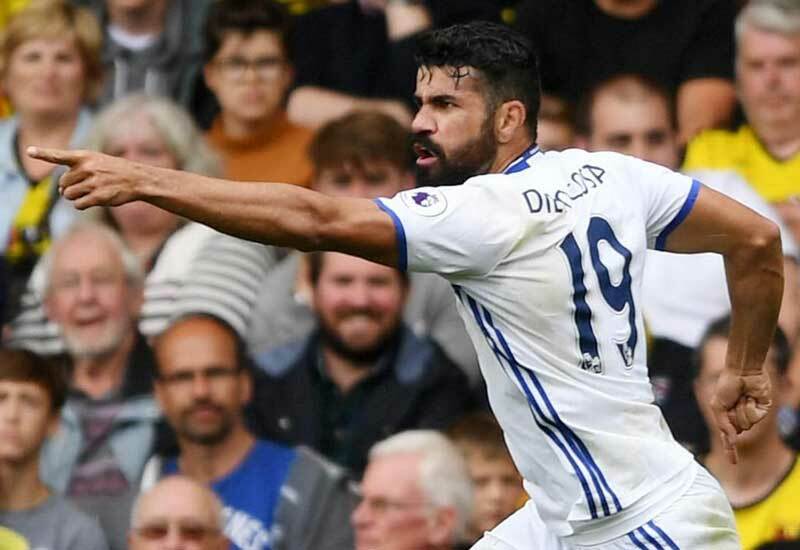 Southampton vs Chelsea Premier League: The English Premier League had seven matches today in the week 10 on October 30, 2016. Southampton vs Chelsea is one out of that two meetings at 04:00 PM BST. Get the Live Streaming updates, Starting Line-ups and Team News here below. Currently, Southampton is now standing at the ninth position with the 13 points of the Premier League 2016-17 after played nine matches. Chelsea is standing at the fifth position with the 19 points in 9 games of the Premier league. The Official Website of Premier League providing Live Score Updates. Here, the list of official websites to watch Live Streaming Matches on online and Radio. Venue: St. Mary’s Stadium, Southampton, England. WORLDHAB Facebook Page: Watch the Live match at WORLDHAB’s Official PAGE. Sky Sports 1 will broadcast the live match of Southampton vs Chelsea in the United Kingdom. The USA users can watch this match on three TV channels such as NBCSN, NBC Universo, and Telemundo. The Canada people can watch the live streaming Premier league matches on TSN4 and TSN5. Caribbean Football and Premier League fans can able to watch the SOU vs CHE live streaming match today on Flow Sports. The Hong Kong and China people can also watch this match by using three television channels such as QQSports, LeTV, and PPTV. The Singapore Southampton and Chelsea Football Club fans can watch on Eleven Plus. Bein Sports, Optus Sport, and SFR Sport will stream the Live Matches for Thailand, Australia, and France respectively. For India people, Hotstar is the place for today’s Live streaming of this match. Sky Sports and Sky Go for the United Kingdom. USA people can watch the online Live streaming match on NBC Sports Live. Canada, Middle East, and Australia people can watch the online live streaming with the help of TSN, Bein Sports Connect, and Optus. BBC will cover the Southampton vs Chelsea Match as live on BBC Radio 5 live and BBC local radio and also, the viewers can check the official BBC Sports for the Live commentary via text. According to the last Five head to head matches, Chelsea has won two matches against Southampton out of its last five meetings. Southampton has also won one match against Chelsea in all the competitions. Two of remaining matches has ended with the result of the draw. Southampton Starting XI: Forster, Fonte, Van Dijk, Martina, Bertrand, Clasie, Davis, Romeu, Tadic, Redmond, Austin. Substitution: Taylor, Yoshida, Ward-Prowse, Boufal, Hojberg, Olomola, McQueen. Chelsea Starting XI: Courtois; Azpilicueta, David Luiz, Cahill; Moses, Kante, Matic, Alonso; Pedro, Diego Costa, Hazard. Substitution: Begovic, Ivanovic, Terry, Chalobah, Oscar, Willian, Batshuayi. Stay tuned with WORLDHAB for more updates under Football, Cricket News.